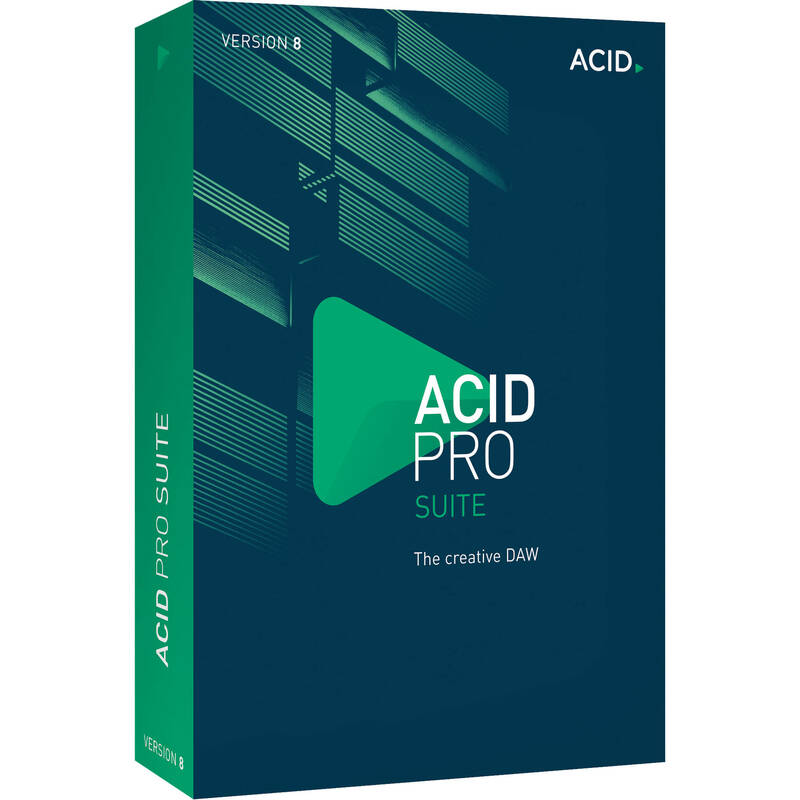 Available as an upgrade from ACID Pro 7, MAGIX Entertainment ACID Pro 8 Suite is a creative DAW that marries an easy-to-use workflow with pro-level features to provide artists and musicians with an inspiring, loop-based environment to compose, remix, record, edit, and mix their songs. The software features a 64-bit engine that utilizes the full power of your Windows computer to handle multitrack recording of high-fidelity audio at up to 24-bit / 192 kHz, or compose and mix with dozens of instrument and effects plug-ins running in real-time, all with low latency. ACID Pro 8 Suite comes with 26 instruments including drums, synths, pianos, basses, choirs, and more. The 9GB of ACIDized loops with pitch, length, and transient data can be edited, manipulated, and mixed together in real-time to create original grooves in a wide variety of genres, from metal and trap to EDM and hip hop. The software offers comprehensive MIDI features for precise MIDI editing within the timeline, MIDI filtering and processing, MIDI-to-audio track freezing, keyframe automation, flexible grid-style drum programming, and more. Remixing is fast and easy with powerful tools such as Beatmapper, which identifies the tempo and time signature information in external audio files and applies it to your project, and Chopper, which slices and dices audio files to create rhythmic variations of the original audio or new samples from the original loop, all in sync with your project. Also included is zplane élastique for real-time and artifact-free time stretching and pitch shifting for your audio files. The mixing console looks like a traditional studio mixer but can be customized to match your unique workflow. It provides a flexible recording environment with a variety of routing options that lets you assign plug-in effects, work with external MIDI devices, use external effect processors on tracks and buses, create complex sub-mixes with bus-to-bus routing, while monitoring everything in real-time. The essentialFX Suite provides a collection of 11 essential studio effects such as reverb, delay, EQ, compressor, modulation, de-esser, and more. Also included are plug-ins for guitar/bass amp simulation, custom reverb, analog modeling, and vintage-style effects. When ready to share your music, ACID Pro 8 Suite lets you burn audio CDs directly from the timeline or encode your mixes in all the popular streaming formats used online and in portable media players. Note: This version is priced per license for 100 or more licenses of ACID Pro 8 Suite. It is available as an upgrade for registered owners of ACID Pro 7.